Based on the feedback and e-mails requesting a DG5 emulator board, I placed an order for another run of PC boards – should ship on the 11th from the PCB house here in the US. I’ll post here when the new boards arrive and are ready for shipment, and I’ll do my best to individually e-mail those who have written me over the past few months. Thanks for your continued interest! I am out of the DG5 emulator boards. Given that the last few boards came in slowly, I am not planning on another board production run at this point. If enough folks want one (make a post below), I’ll look into another run of boards. Thanks to all who have purchased, and I hope you’re enjoying your Arduino AD5 emulator! 7/31/15 – I have received a lot of interest over the past few months, so I have put in a request for pricing on another order of boards – will let folks now if I pull the trigger! Thanks for your patience! This entry was posted in Uncategorized on March 14, 2015 by admin. DG5 Emulator boards are still available, 10 left as of this morning (2/8/15). 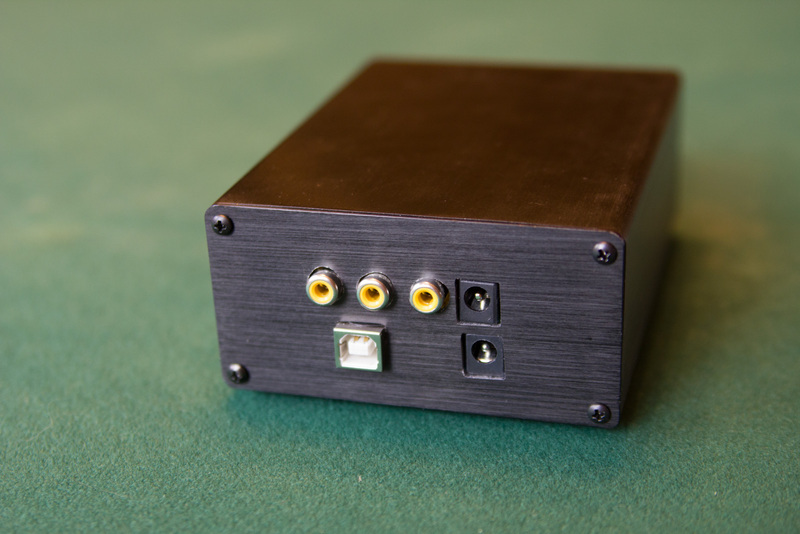 Details on the project, with a link for ordering a board can be found here. It sometimes takes me a day or two to respond to e-mails or posts made as I have a new job that’s keeping me busy. I took a position back in November managing a public safety radio system, an 800Mhz, P25 based trunked system with about 133 repeaters across 13 sites! There’s a lot going on, so I haven’t had a whole lot of time to play around with the TS-520S and the DG-5 emulator, however, one of the points to the open source movement is to allow for others to take a project and run with it. I had some code on the running on the Arduino late last year along with a AD9850 DDS board that added a DDS VFO to the 520S – there’s lots that could be done if someone want’s to put in the time! UPDATE – as of 2/13 I only have 4 boards left. If there is continued interest once these are gone, I’ll make a 3rd run of them. UPDATE – as of 2/15 I only have 2 boards left. 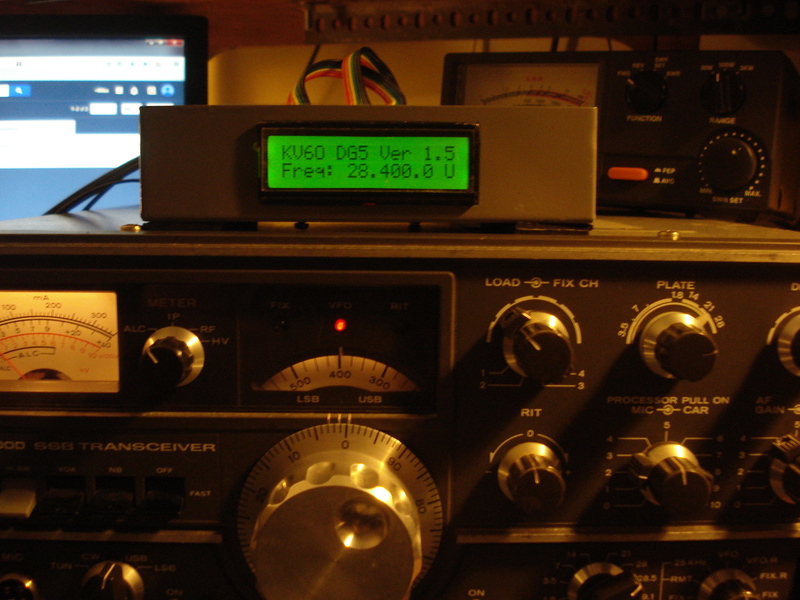 Mark has written up a terrific document detailing how he added the Digital Display to his non “S” TS-520. There was a kit for the TS-520 back in the day to add the CAR/VFO/HET signal outputs, the TS-520S came with this option built in. Mark details how he built the interface, including the buffer amp necessary for the HET signal. Thanks Mark! DG5 mounted and ready to go! 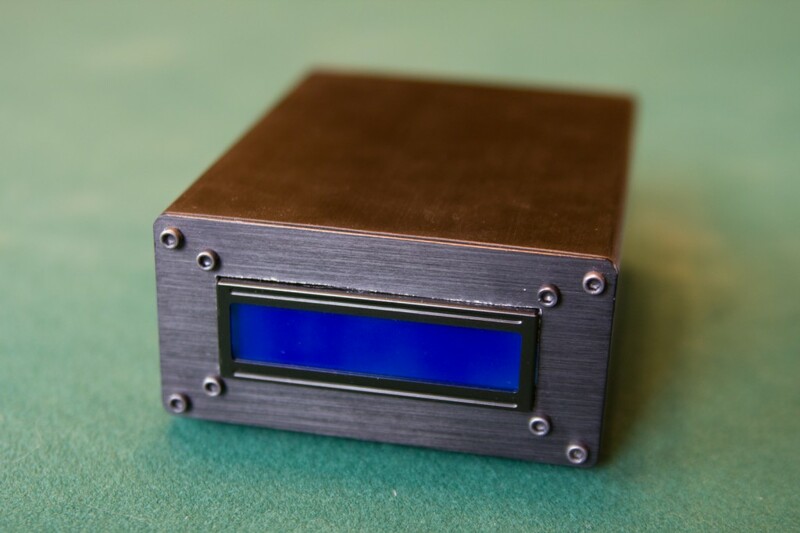 I ordered up a 2″x4″x 5″ extruded aluminum chassis off of eBay, and mounted the DG5 and the LCD display. It’s looks good, and the metal shielding eliminated some slight RFI from the board. 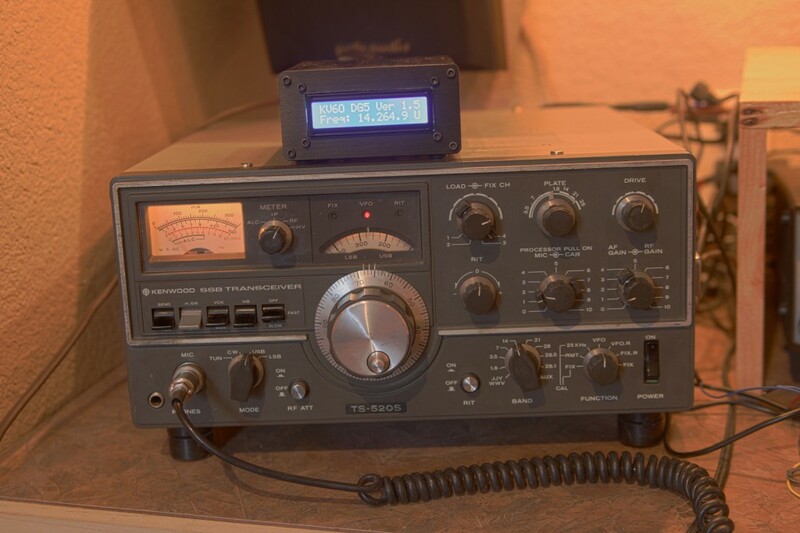 There are multiple, HF signals on the board being amplified and switched – a metal chassis is recommended! Looks good on top of the TS-520S! Strange dreams about VFO drift. I have strange dreams. I often awake with new ideas on something that I am working on, which really isn’t all that strange, but when I try to explain my dreams to my wife, well…. they’re strange. Yesterday morning I woke up thinking about other things I could do with the DG5 shield, and one of the things I dreamed about was making VFO drift measurements. 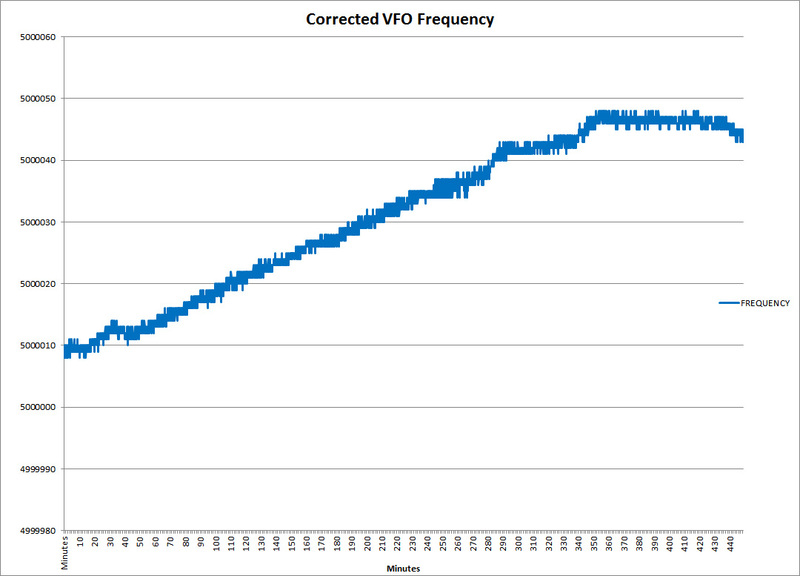 Using the DG5 emulator and the USB communications with the computer, I could log the calculated VFO frequency over time, and see how my VFO drifted during warmup. This was pretty straight forward, instead of scanning thru three frequencies to measure, I just locked the board to the VFO and increased the gate time to 1 second, and took a measurement every 6 seconds. I printed these results to the serial port and captured them with my computer. Now, there’s another source of drift in this setup, and that’s the crystal oscillator on the Arduino itself. The crystal’s I have used for other ATMega328 based project boards are rated at 20ppm at 16Mhz – the clock frequency the Arduino uses. 20ppm works out to be +/- 320 Hz = quite a bit of potential measurement error! But crystals don’t usually drift all over the place in short periods of time, with relativity stable temperatures. I had the Arduino and the shield powered up overnight with the TS-520S off, so I figured it would be pretty stable for a measurement of the TS-520S VFO drift during warm-up. Here’s the drift plot over about 3 hours of warmup. I suspect most of the calculated drift is the TS-520S VFO, and not the Arduino. But we can actually eliminate the Arduino’s error using one of the DG5’s other inputs. 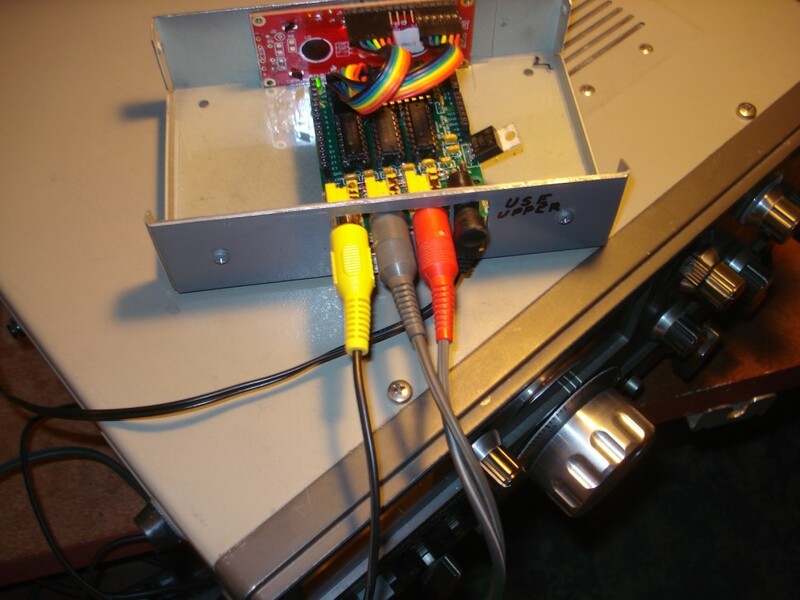 By using an external frequency reference, we can eliminate the Arduino as a source of the error. The DG5 emulater can select from 3 inputs for measuring (2 direct, 1 prescaled by a divide by 8 counter), so I used my HP 8924C as an external frequency reference. It uses an OCXO (Oven Controlled Crystal Oscillator) for it’s frequency source, which is much better than the $0.39 Arduino crystal. I don’t have the spec’s in front of me, but if I remember correctly, it’s something like 0.05 ppm or better. I have used it to obtain sub 1 Hz measurements in the ARRL Frequency Measurement Test (http://www.b4h.net/fmt/fmtresults201404.php), so it’s pretty good at these frequencies. That’s the fist minute or so of data out of the Arduino. 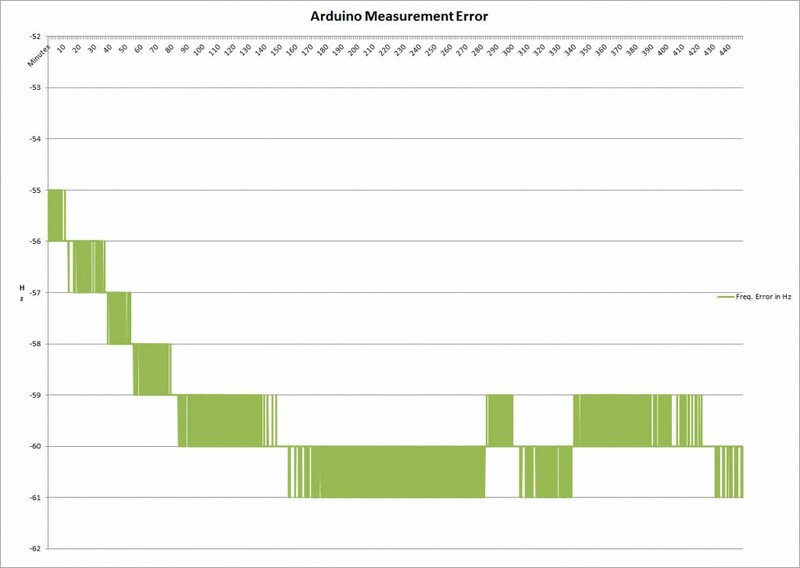 The columns are VFO (the raw measured frequency), the Ref (the 5 Mhz reference frequency as measured by the Arduino), The calculated error (REF – 5,000,000), the corrected VFO frequency (Measured VFO + ERROR), and lastly the millis() function out of the Arduino which gives us the Millis counter value – how many milliseconds we’ve been running. Here’s the calculated error in Hz over about 7 1/2 hours (I left it running overnight). Looks like the Arduino is -59.512 Hz low on average, but drifted only about 5Hz during the test. Not bad, and perhaps I should add a frequency error compensation factor in the DG5 code. 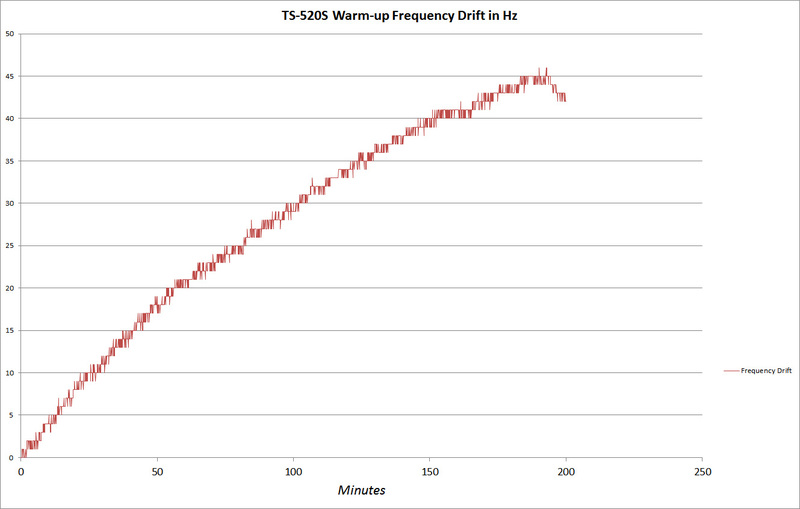 Even after running all day, the TS-520S’s VFO continues to drift appreciably – about 40Hz over this time frame. No big deal – it’s amazingly stable for the technology – but it’s sure nice to be able to characterize it! It looks like the Arduino frequency stability is about 10x better than the TS-520’s VFO in this setup, which is good since we’re looking to the Arduino to measure the VFO. I have only measured the VFO so far, I’ll probably do a similar exercise with the BFO (which mixes with the VFO to obtain the IF frequency) and the Hetrodyne oscillator (HET) to see how stable they are. The DG5 shield can be a useful tool as well as a frequency display!